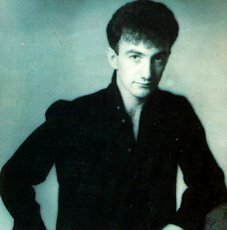 John Richard Deacon was the bassist for the rock band Queen, playing rhythm and acoustic guitars in several of their albums as well as ocassional keyboards. Born 19 August, 1951 in Leicester, United Kingdom, he was the youngest member of Queen. He is the author of the hits "Another One Bites The Dust" and "I Want To Break Free", which show that his contribution to Queen was significant. Deacon is also the only member of Queen never to sing on any of their tracks, although in music videos it appears that he does. Deacon is not just one of my musical influences, but also a personal influence as I endorse his same philosophy. He was the 'quiet' member of the band, and the others said that he was in charge of most of the finances. His last public appearance with the band was at an AIDS Charity event in 1997, and his last direct involvement with Queen, was with the recording of No One But You. He lives in South-west London with his wife Veronica and their five sons and one daughter. John occassionally visits the Queen fan club to keep up to date with the world of Queen but remains an elusive character. He enjoys drinking tea, playing golf, and music wise "likes a bit of everything". According to The Sunday Times Rich List he is worth £50 million in 2004. As a trained electrical engineer, he often used to jimmy up equipment for the band. His most famous creation is the "Deacy Amp", used by Brian May.